WEST PALM BEACH — Amid rising property values and rents citywide, West Palm Beach and Related Urban officials this week broke ground on an apartment building for low-income senior citizens. 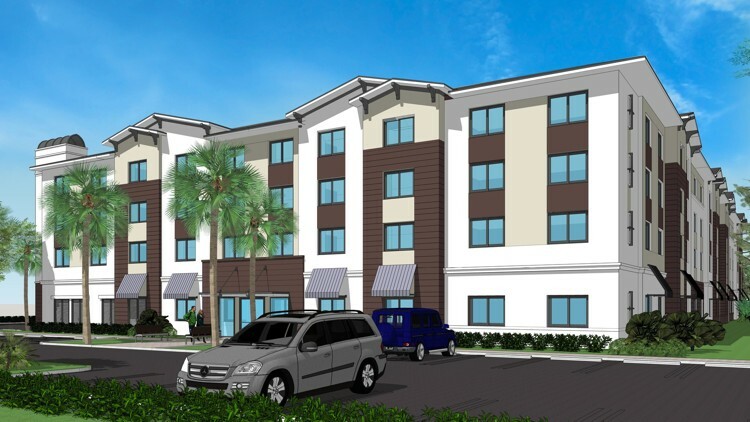 The $21.5 million Georgian Gardens project is to provide 87 apartments at 4330 Community Drive, just east of Military Trail and a mile north of Okeechobee Boulevard. Georgian Gardens originally was developed as a two-building project, but one was destroyed by hurricanes in 2004 and 2005, city spokeswoman Kathleen Walter said. The new four-story building is scheduled for completion next year on what is now a 2.7-acre field on the south side of Community. It is targeted for seniors with an income below 60 percent of the area median income. That means, a one-person household would have to have income of $32,340 or less, while a two-person household would have to earn $36,960 or less. Housing affordability has been a problem throughout the city, as West Palm Beach has emerged from the recession and property values have risen steeply. The problem threatens to get worse as a large population of Baby Boomers retires and finds it hard to find affordable housing in South Florida, he said. And it’s not just the elderly. The problem affects the homeless, young and working class families. “It is possible that an elderly homeless person could qualify” to rent in Georgian Gardens but the city has other projects on the way, as well, Fana said. “In November or December we will be breaking ground on a couple of projects geared more for non-elderly individuals who are coming out of homelessness or are vulnerable to homelessness,” he said. The city is pressing Related Cos. to include workforce housing in an apartment project the developer has proposed at CityPlace, on the former Macy’s department store site. The Georgian Gardens project is being developed by Related Urban, in a team with the city to qualify for federal funding and tax credit financing. The city also is contributing $607,500 that Fana’s department gets in federal grants.